This incredible collection of 12 Gourmet Rubs & Salts is the perfect way to kickstart your cooking plus, at £8 off the individual prices, it's a great way to save & still eat well. 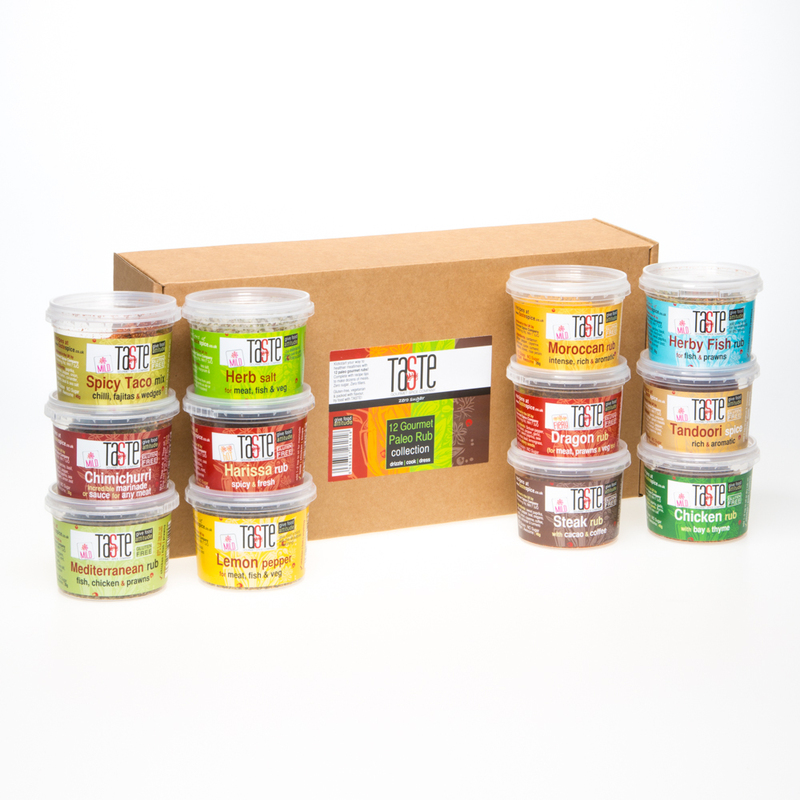 As well as being the quickest way to get flavour into your food, with enough for more than 50 meals, it doubles as the perfect 'student survival kit' & will keep those takeaways at bay!All are vegetarian with NO fillers, flour, gluten or anything nasty. Packaged in a custom made box with Recipe Tips for that perfect present. Tandoori rub: a rich blend of classic Indian spices including our own Garam Masala - mix with yoghurt for a tikka marinade, or use 2 tsp for a curry or bombay potatoes! Chimichurri: fabulous as a condiment for red meat, mix with oil & vinegar & drizzle over food as you serve. Great as a rub or marinade too. There are no fillers, flour, or added sugar in any of these products.